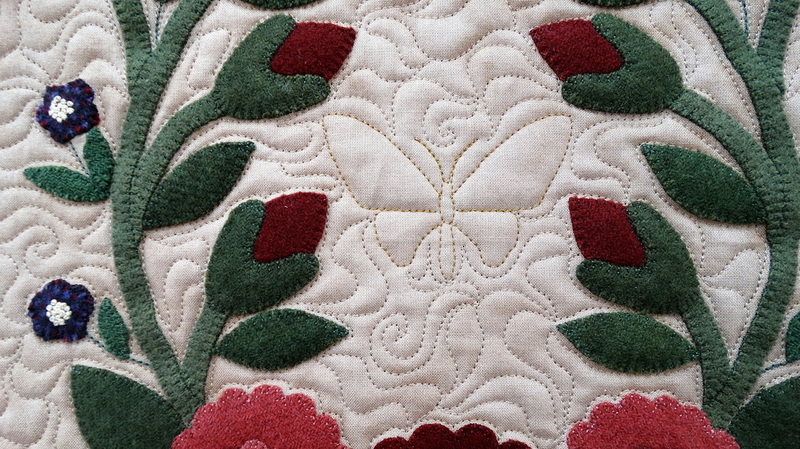 Custom quilting can be a challenge and applique detail is at the top of that list. 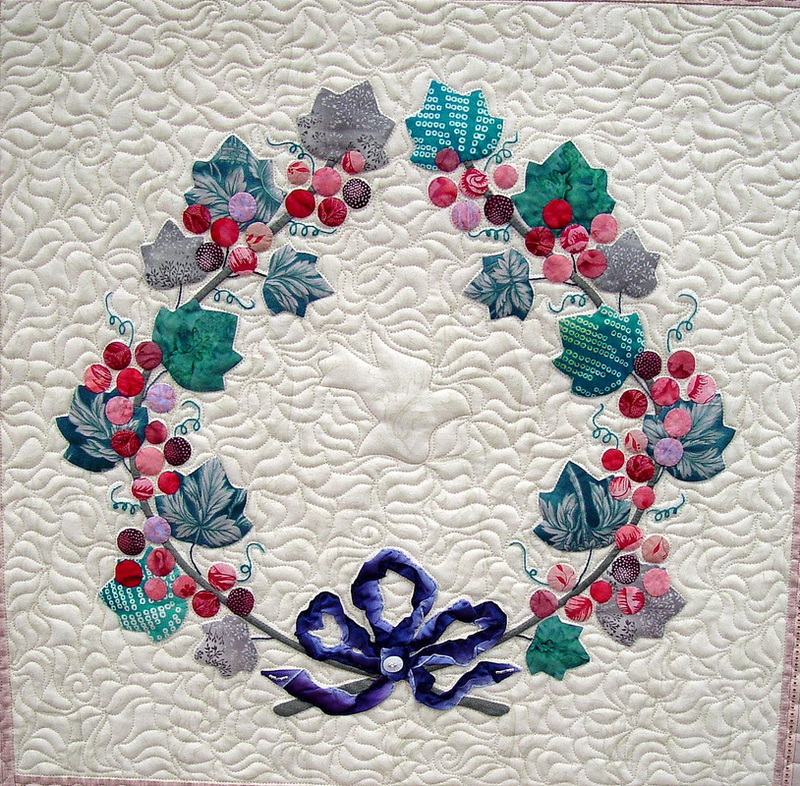 ​in the background, as in the little garden whimsy pattern pictured here. 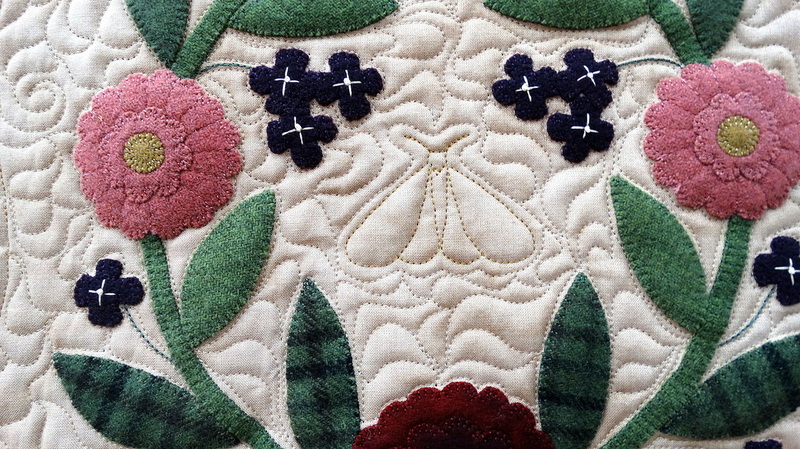 especially the flower petal lines that work with the Fill function. these detail patterns will make your job easier. 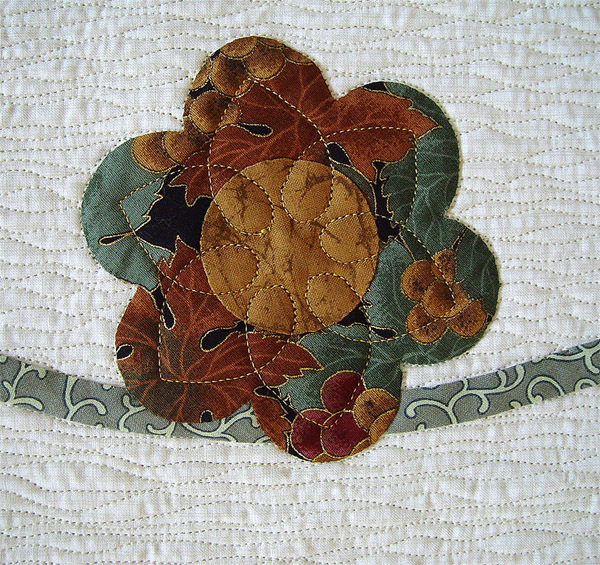 During a recent class on Point to Point, I showed how simple it is to quilt vein lines into appliqued leaves. 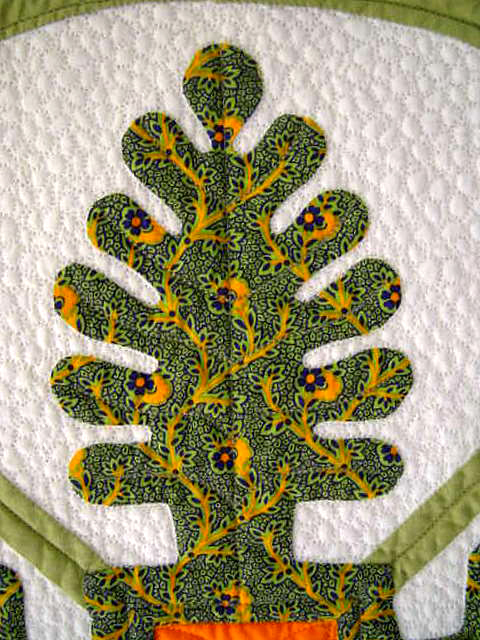 It doesn't matter what angle the leaves are placed on the quilt, if the pattern is drawn to work P2P, the vein lines will drop right in. 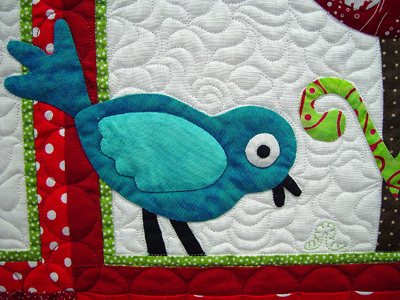 ​this type of pattern can easily be adjusted to fit almost any applique. which will complement a folk art look. 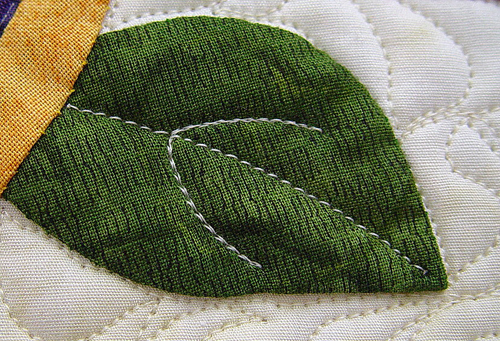 Please note: the leaf outlines are only suggestions and are not part of the patterns. The curves and double curves below have a soft look to them and should work in almost any situation. 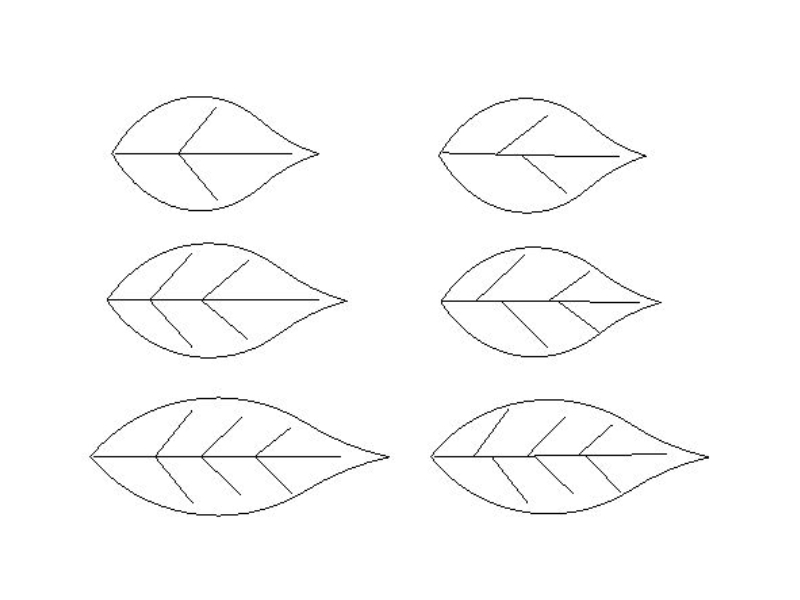 The first six curved styles include R and L variations, so study the curve of your leaf and choose what fits best. Or, flip the pattern to see how it fits that way. Here's a set I consider Traditional shapes. 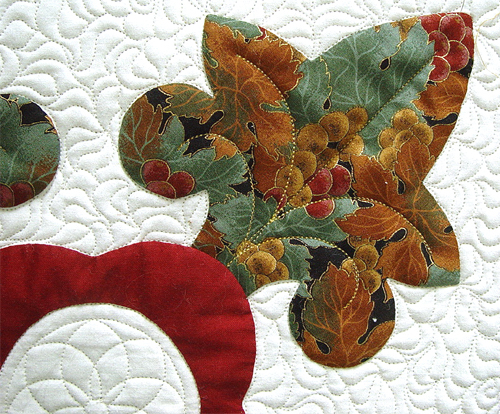 ​They're the type of leaves found in traditional 19th century style applique. ​you should be able to create and save a .csq to fit those shapes. And setting them into place P2P couldn't be easier! 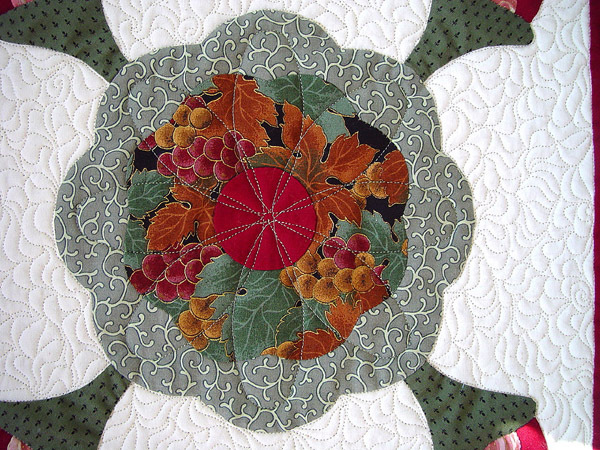 includes, oak, maple, redbud, gingko, sunflower, grape and a few others. ​and do not include the outline of the leaf itself. 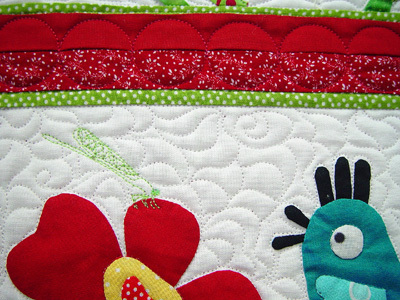 And for those funky, non-traditional quilts, this set will add a playful look. a variety of vein lines to flower petals, or texture to whole flowers. 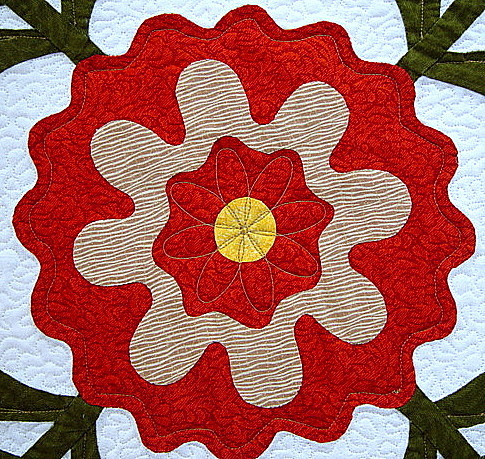 Please note: pattern lines are in black; red lines represent applique shapes. Simple shapes can add texture to flower centers. 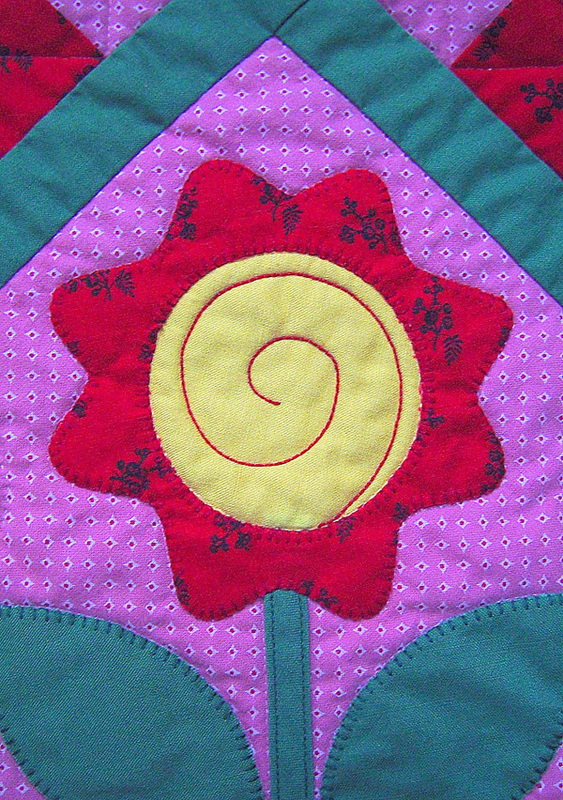 ​on simple, single fabric flower appliques. or to add texture to a full flower shape. the center and partially fill the petals. This group of patterns offers two exciting possibilities. 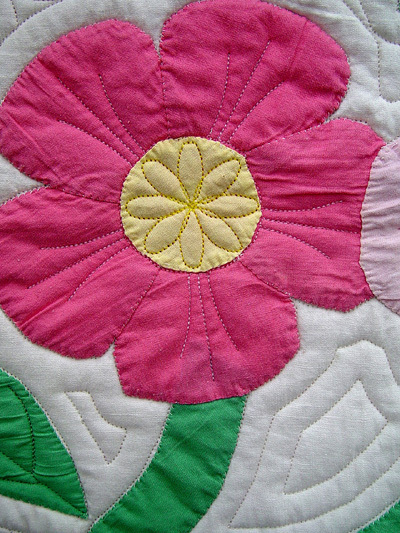 Quilt them as is, like the patterns above, to add a small center and petal vein lines to appliqued flowers. 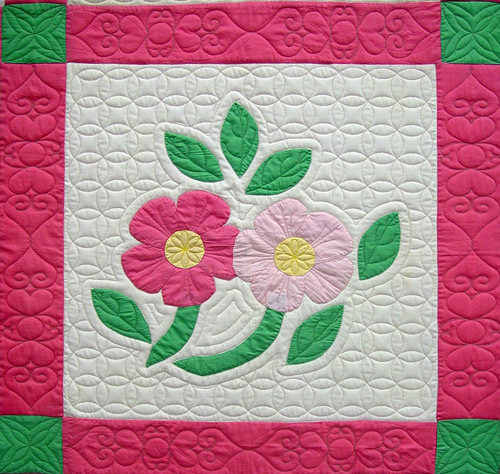 If the flower has an appliqued center that you want to emphasize, use these patterns. 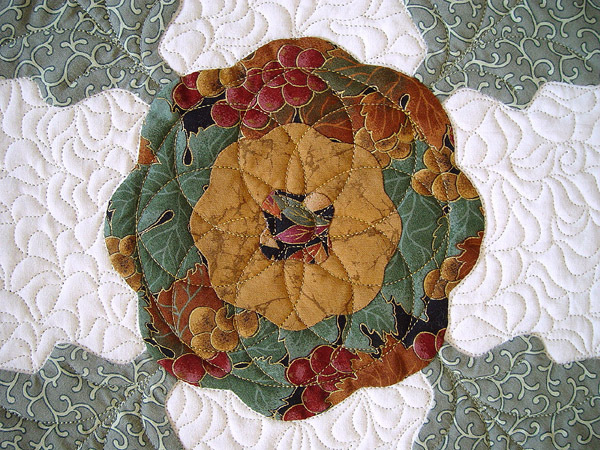 By using the Fill Outside function to eliminate part of the lines in the center, the remaining pattern will quilt SID around the center and add vein lines to the petals. This is an especially good trick for making the pattern fit around an irregularly shaped center. 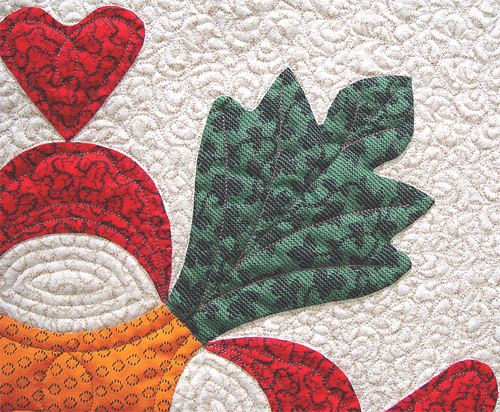 Note: These garden whimsy patterns can be used to applique with your Statler, too!